Bataille and Beckett: from the Impossible to Unknowing. Notification of acceptance of papers by 5th of October, 2010. The seminar seeks to explore the complex and paradoxical relationship between the discourses of philosophy and literature focusing on the works of Samuel Beckett. Beckett has had a long standing dialogue with philosophy. From comments like ‘I am not a philosopher’ and ‘I do not understand philosophy’ to his love of Democritus, Arnold Geulincx and Arthur Schopenhauer, from a rich texture of philosophical allusions in early works like Murphy to a more resistant non-allusive (or allusive in a very subterranean way) later prose like Worstward Ho, Beckett’s work has always been seen in relation to philosophy, from championing a certain kind of Cartesianism to reviving the latent philosophical discourses of the Atomists, from positing existentialism to parodying it and so on. In the 20th century, Beckett’s oeuvre has attracted a handsome amount of philosophical attention with almost all major philosophers responding to his work in vastly different ways. From early readings of Georges Bataille and Maurice Blanchot to the responses of the poststructuralists like Derrida, Deleuze, Foucault, reactions from Adorno, Stanley Cavell, Julia Kristeva, Irigaray, Martha Nussbaum and in more recent times perhaps in the most extensive fashion in the writings of Alain Badiou, Simon Critchley and a host of others, Beckett has commanded a rigorous attention of the philosophers. They have sometimes cited Beckett by way of exemplifying their own philosophical conceptualization and problematization while on other occasions they have seen his work as a genuine philosophical repository, generating issues and debates, intrinsic to the discipline of philosophy. Eminent Beckett Scholars like Ruby Cohn, Stanley Gontarski, Anthony Uhlmann, Garin Dowd and others have been sensitive to what we can call a ‘philosophical turn’ in the field known as Beckett Studies. 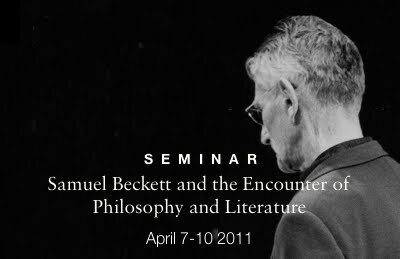 Apart from dealing with the philosopher’s influence on Beckett from a biographical point of view and Beckett’s influence on 20th century philosophy, the seminar also encourages papers that see Beckett’s work as a topos where different and often contesting ways of conceiving the philosophy-literature interface meet each other. Beckett’s interest in classical philosophy and the supposed representational relation between philosophy and literature is on the one hand while on the other is the poststructuralist and postmodernist appropriation of his canon which tends to locate his body of work at the margin of philosophical thought. Samuel Beckett thus remains the fascinating literary icon that he is with Derrida defining an auto-deconstructive margin of philosophy in literature with Beckett and Badiou drawing on Beckett as an original philosophical thinker, who is instrumental in his discourse of a return to philosophy. Philosophy as influence on Beckett. Philosophy as intertextual cultural memory or a textual principle in Beckett. Beckett as an influence on 20th century Philosophy. Beckett’s texts as an anti-philosophical discourse. Beckett and the cognitive philosophical tradition. The politics of philosophical appropriation in and of Beckett texts. The philosophical categorization of Beckett as a Modernist polemic of canonization. 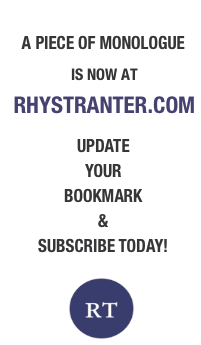 The philosophical status of Beckett and its contribution in a supposed undermining of the pragmatics of his theatrical practice as a playwright and stage-artist.